This refillable catnip toy utilizes top quality, natural North American catnip. Plush feathered mouse featrues a special compartment that can be opened and closed, so that fresh catnip can be added again and again--to last all your cats' nine lives. 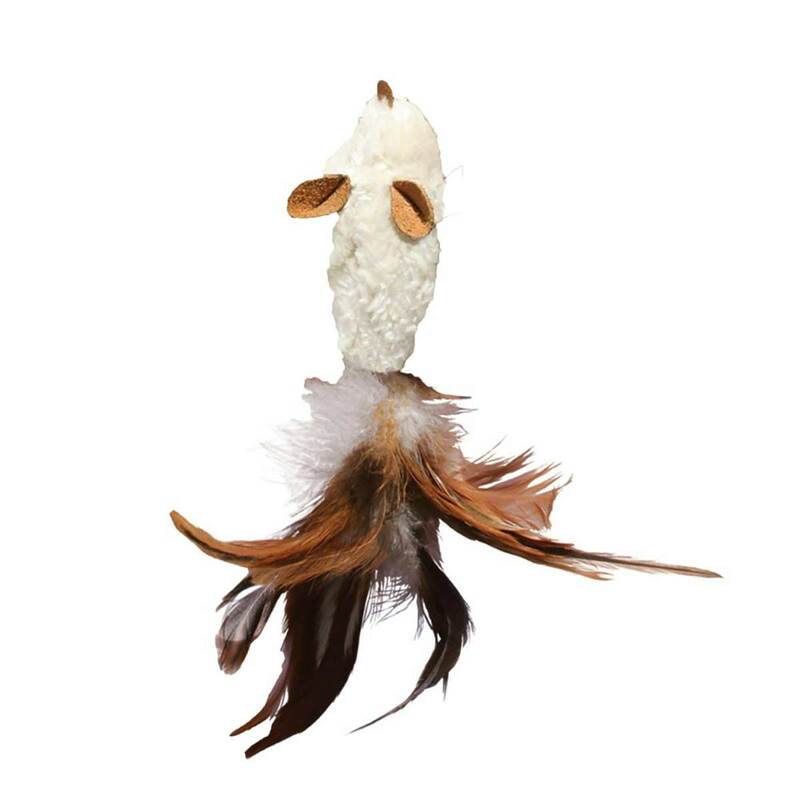 This 3 refillable catnip mouse toy with a 5 feather tail also has a leather trim for" irresistible scent and textures.